The Free Library realizes that literacy is not “one size fits all” recognizing that people become literate through different pathways. Through my own endeavors with English language learners, I know that food is a way of bridging cultures and the greatest icebreaker for the timid learner. 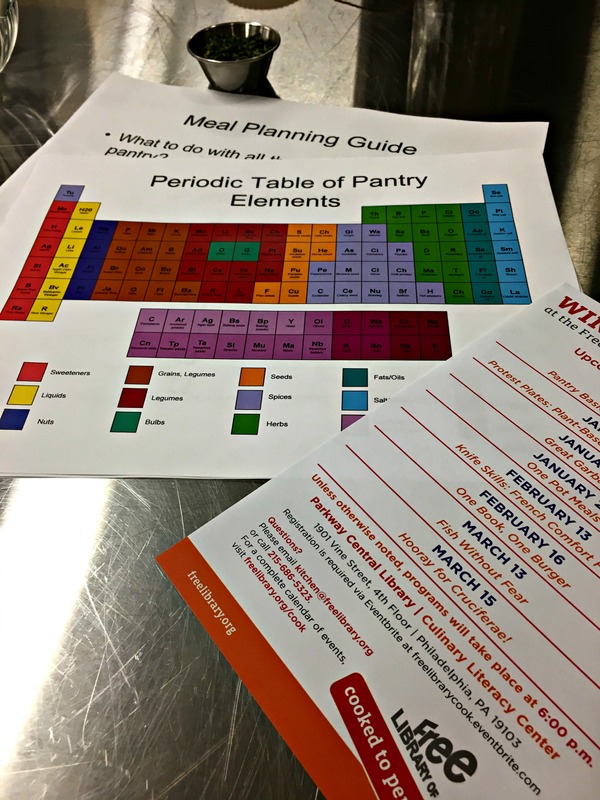 The Free Library has taken this idea and broadened it with the Culinary Literacy Center (CLC). The CLC opened in the main branch of the Free Library of Philadelphia in June of 2014. Originally fashioned as a place where chefs could prepare meals for weddings and parties, the kitchen has been used to help promote literacy to library users. The vision of the CLC is to introduce Philadelphia area residents to the multiple ways literacy fits into our lives. Literacy is not just reading a book. 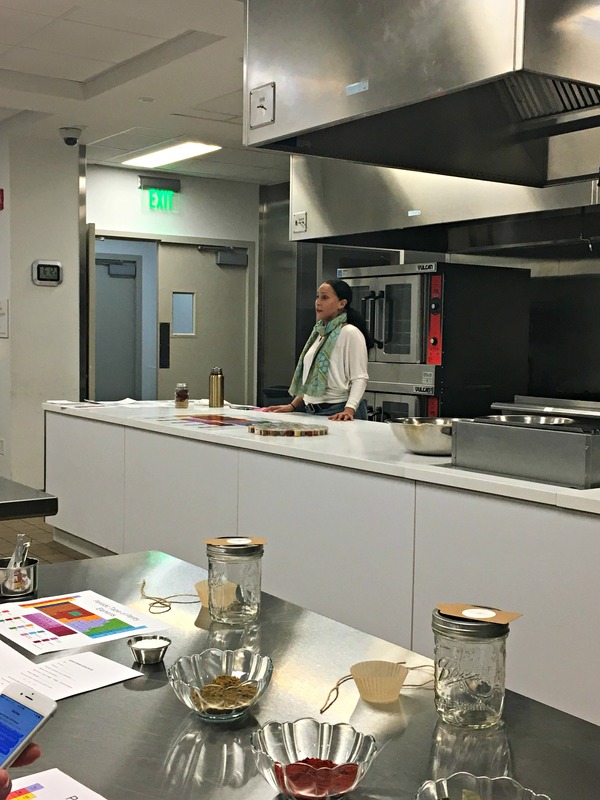 It is knowing how to read and comprehend a recipe, using math to measure the correct portions for a meal, or in the case of the class I attended, knowing how to set a pantry up to maximize flavor. 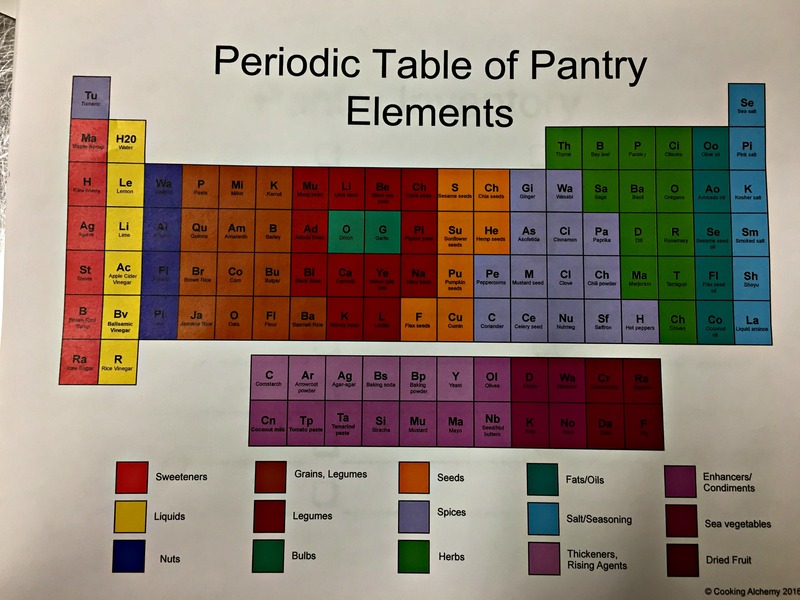 After introductions, the class played a game to place various spices on the Periodic Table of Pantry Elements. The table is ever evolving, however the basics are for cooks to play with flavors and ingredients. Elizabette pointed out that most of the items found on the chart could be purchased from local markets. I know I will be hitting up my HMart this weekend to stock up. I also have ideas for my garden this summer. Among the items that can be added to pantries is Bulgar a cracked wheat that can be substituted for rice; Tumeric and Ginger which can aid in digestion; and Mung Beans which are good for protein and can be substituted for noodles. I like to think that I am a genius in the kitchen, but I know that there is always room for improvement. Hands shot up as participants asked where to start so we too could recreate the chart in our own kitchens. Elizabette provided a basic way to stock our kitchens. Instead of breaking the bank (I admit I was set to hit the market for a shopping spree), we can start out slowly. 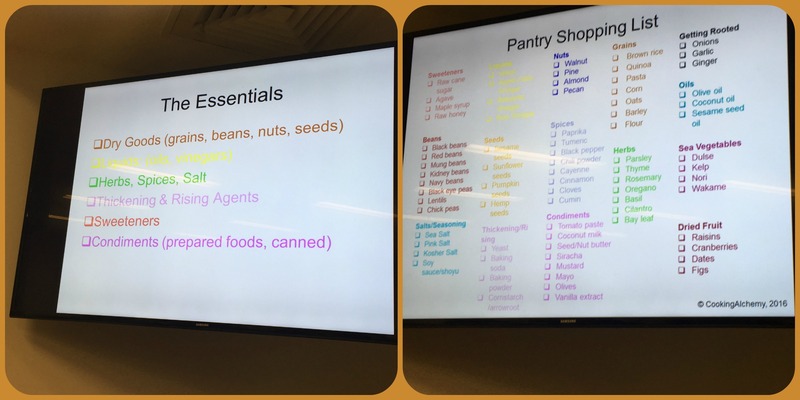 Most homes include the basics: salt, pepper, garlic, onion, various seasons, boxed pasta, beans, rice. A shopping list was provided to help us get the basics. As a takeaway for participants, we were given the chance to play with flavors and prepare Jagacida. Cape Verdean Jagacida, also known as Portuguese Rice, is a recipe that Elizabette remembers her own parents making. The Cape Verdean Jagacida will be perfect for these cold wintry nights that have been battering Upper Darby. I plan to add some smoked meat to the pot and a side of broccoli tempura. The CLC classes range in price from free to $15. Visit the Culinary Literacy Library to register for other classes. Tale as Old as Time: Beauty and the Beast in Theaters this March!